Bonjour! This week, we talked to Sara, a junior double major in Mass Communication and English at the University of Delaware. 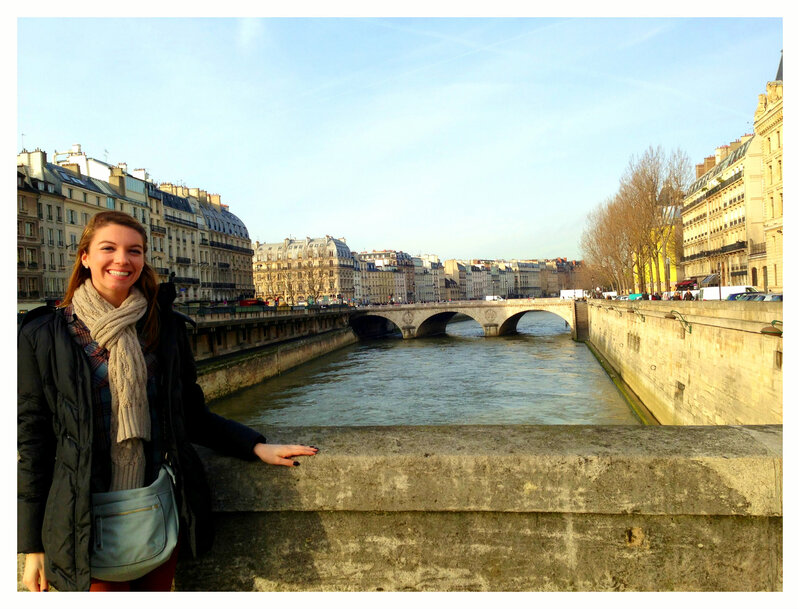 Sara is currently studying abroad in Paris, so it’s helpful that she’s studied the French language for over 10 years! 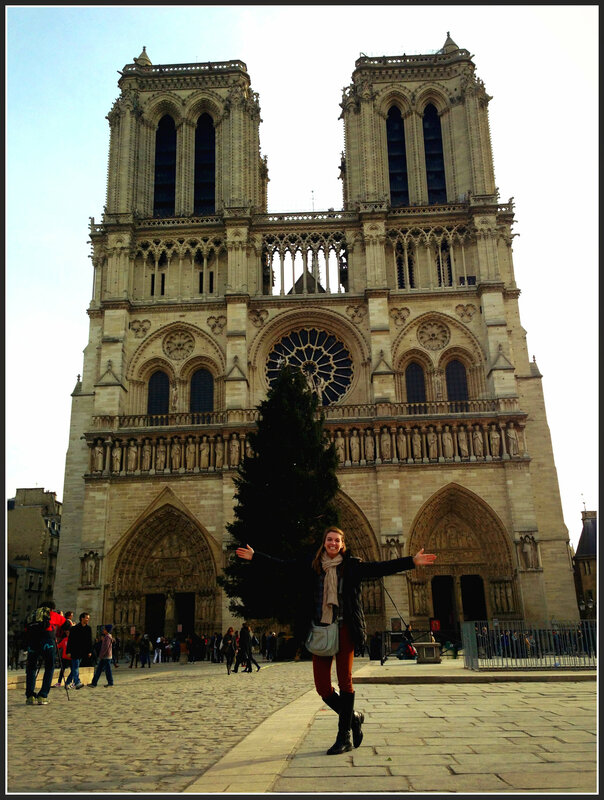 From visiting famous landmarks to eating delicious French cuisine, Sara is experiencing the French culture first-hand this winter. 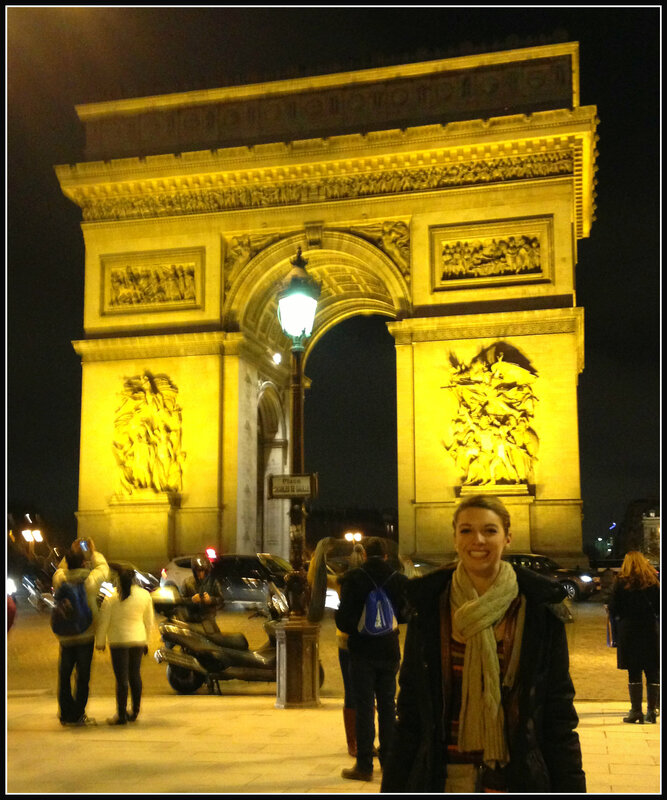 Although traveling to Paris and living in another country is a dream come true for her, Sara has also learned a few lessons that will be useful in the workforce. Read our interview with her below to learn more about her experience, the program, the lessons she’s learned so far, and a few of the highlights so far! Studying abroad or know someone who is? Email Keri at kbetters@udel.edu to be featured on the blog! What made you want to apply to this study abroad trip? For starters, travel is one of my favorite things in life and I have always been extremely open to exploring new places through volunteer opportunities, excursions, and studies! I studied French for over ten years in school and had learned an extensive amount about French/Parisian culture through classes, but I knew nothing could be as educational or enlightening as actually visiting the incredible places I was learning about. After talking to lots of friends from different universities who told me that studying abroad had a very important impact on their overall college experience, I knew I had to go for it. I chose Europe and Paris, specifically, because it would give me a chance to explore a completely new place and would allow me to practice the language I’ve learned for years. It took a bit of planning and research, but I finally made it happen and I am so thankful that I did! So far, what is the coolest thing you’ve gotten to do/experience/see during your trip? This sounds like a trick question! Although I’ve only been in Paris for 10 days, I’ve already had the opportunity to see and do so much that it’s difficult for me to pinpoint just one experience that I’ve loved the most! I can offer a quick “highlight reel” of my favorite experiences so far. Tasting a macaroon, crepes, and fresh French bread (eating all the carbs with no shame)! Experiencing the freedom of exploring completely new places everywhere you go– each time I get off the metro, anywhere my group stumbles upon is a new adventure. –Looking forward to finally visiting the Eiffel Tower, the Louvre and the Palace of Versailles soon! What is one thing you’ve learned through the experience so far that you could take with you into the workforce (whether career or internship)? Something I can say for certain is that you have to be willing to try new things and really push yourself out of your comfort zone. In the workplace or an internship, this really applies to taking initiative and asking for projects that your supervisor or manager may not have assigned to you. You can’t be afraid to take risks, and this will always be relevant to a career! Also, welcome things that you don’t understand and ask questions so that you can learn from them, and in the process learn more about yourself and you will grow. What is the most challenging thing about studying abroad? How could this help you when you get back to UD and/or graduate from college? A challenging thing about studying abroad is adopting the local culture of the place in which you are studying, along with adopting particular mannerisms, means of politeness, and customs, in turn giving up some of the norms that you are used to. Also, a challenge about studying abroad (often) is that you do not know anyone on your trip before you go and thus you have to meet everyone once you are already there in a new environment. Though a little nerve-wracking, I can’t express enough how important it is to be able to work with people from all different walks of life and realize that while not everyone is like you, each person you meet brings something different to the table and things work best when you all work together. I would say in terms of applying this to how you handle UD and post-graduate life, you should absolutely appreciate others who may be different from you and realize the importance of being a team player. Any advice for students who may go on the same trip as you/visit the country one day? My advice is to absolutely take advantage of every opportunity, and do not shy away from trying something simply because it’s “not your thing”. I encourage other students to really practice the native French language (or any other language you may be practicing abroad) because, though it might be a challenge, it’s certainly rewarding and helps you assimilate to the culture more easily! I advise students to appreciate each day they have to spend in a new place, because our college years are truly the time for us to learn about ourselves and there is no better learning experience than being abroad. If you are an SMA, Blue Hen Ambassador, a part of the UD Study Abroad Ambassador program, or have some sort of blog, please list what social media sites I can add to the blog post so others can follow your journey! I created a travel blog to document my trip at talksandtravels.wordpress.com! Feel free to check it out, and I’ll do my best to update it more frequently (admittedly I’m a little behind at the moment). I am also an SMA and you can follow me @bluehensara or my official account @sarapenchina!